SC Johnson’s supply chain transparency commitment includes policies and a process for reporting concerns. The SC Johnson Supplier Code of Conduct specifies requirements for human rights, safety, health, environment and business ethics. 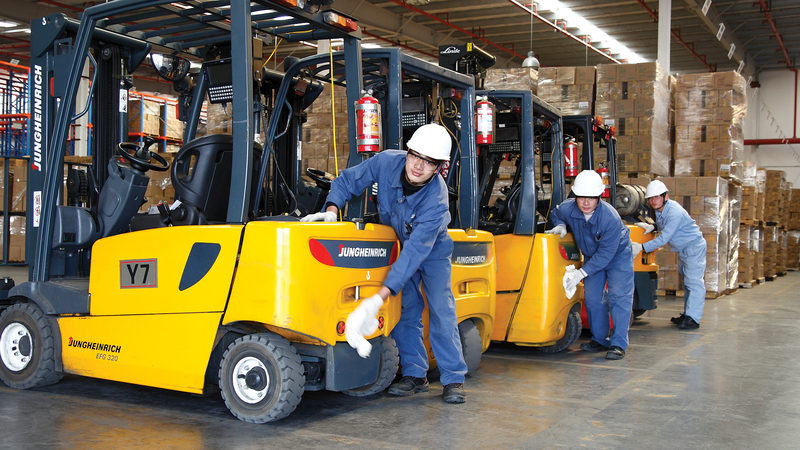 SC Johnson believes in making every place where we operate better, because we have been there. We are committed to respecting people and supporting universal human rights, adhering to local laws and regulations, contributing positively to our communities, and minimizing our impact on the environment. The SC Johnson Supplier Code of Conduct specifies the minimum requirements for our suppliers four key areas: Human Rights & Labor; Safety, Health & Environment; Sustainability; and Business Ethics. We require all of our suppliers to comply with the Code. It also sets out aspirations for our longer-term suppliers to be working towards with us. We expect suppliers, contract manufacturers, contractors, vendors and other business relations and providers of goods or services to share our ethic and commitment. We reserve the right to terminate any contracts and our business relationship with any supplier that does not meet the minimum requirements of this Code. SC Johnson Supplier Code of Conduct specifies the minimum requirement for SC Johnson suppliers as we work, together, to make life better. If you have a concern about an SC Johnson supplier relating to matters covered in the SC Johnson Supplier Code of Conduct, the best first step would be to talk with your SC Johnson contact. However, if for any reason you would prefer to report your concern to SC Johnson anonymously, you can do so by calling our Ethics and Compliance Hotline. SC Johnson’s Ethics and Compliance Hotline is only for reporting concerns related to the requirements and expectations described in the SC Johnson Supplier Code of Conduct. For any other communication, please use your regular means of contacting the company. The hotline is only for reporting Code-related issues. An English-speaking interview specialist will answer your call. If applicable and available for your location, the interview specialist will give you the option to have the call in English or the local language and conference in an interpreter who speaks your language. The interviewer asks questions and documents the report. The call is not recorded and you do not have to give your name, though doing so may assist the investigation. The interviewer gives you a report number to ensure confidentiality and may ask you to call back at a later time in case additional information is needed. If you chose to provide your name and contact information, someone from SC Johnson may contact you directly. If you chose to remain anonymous, you can call back at the scheduled time, with your report number, and may be asked additional questions. For calls in the United States or Canada, you can reach the Ethics and Compliance Hotline at 877-883-6676. Find your country name in the list below. Note that you may need to use alternative options for certain countries depending on the location and/or type of telephone you use to place the call. If direct dial is an option in your country, dial the toll-free telephone number to connect to the hotline. If necessary, dial the country-specific access code to reach AT&T. Then, when prompted, enter the toll-free telephone number to connect to the hotline. A recorded message (in your language) will provide information to prepare you for the call. The interview specialist who answers the call will give you the option to have the call in English or the local language and conference in an interpreter who speaks your language. The mark " ^ " appearing in some access codes means "await second dial tone." "Restriction code" refers to potential limitations on access to the telephone hotlines in certain regions. Please reference the list of restriction codes at the bottom of this page. If you have difficulty dialing the country-specific access codes listed here, we recommend you visit www.business.att.com/bt/access.jsp for the most recent country-specific access code information and instructions. 03: Not available from public phones or all areas. 11: Phone must have international access. A: Public phones require coin or card deposit. D: May not be available from every phone/public phone. F: Not available from pay phones. J: Available from mobile phones for ITFS but not for UIFN. Airtime charges may apply. K: Mobile availability requires mobile customer to register with the TA. L: Limited availability from mobile phones. Airtime charges may apply. M: Available from mobile phones. Airtime charges may apply. N: Not available from mobile phones. O: If order from China Telecom, must order from China Netcom. P: Telephone Administration may restrict the use of toll-free numbers for certain applications such as resale, prepaid cards, calling cards, call-back purposes or third-country calling. Q: For best coverage, order service from all country carriers. S: A general per call surcharge may be assessed to the caller. T: Available only from Carrier's phones. TNW1: Does not work from NTT or IDC. TNW2: Does not work from NTT. TNW3: Does not work from IDC. TNW4: Offers no toll-free from military bases. U: May work from non-Carrier phones. Non-Carriers may treat calls as international long distance calls and not toll-free. W: Available from mobile phones for ITFS format 0034-800-6XXXXX and UIFN. Airtime charges may apply. 01: Fixed line phones only. 13: Only available from phones allowing international access and most public calling centers; may not be available from all locations; not available from public phones. 22: Add'l charges apply when calling outside Moscow, St. Petersburg. 31: Available only from named carrier.